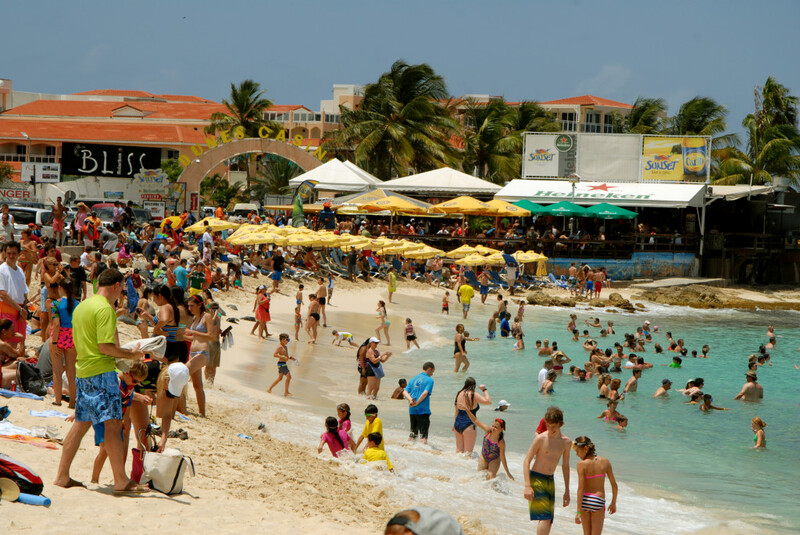 The Most Personal Source For Tourist Information About St. Maarten – St. Martin. From the start of St. Maarten’s decision to become a tourism destination we have focused our efforts on recreational tourism. Basically on our “sea, sun, sand” product. Being the smallest land mass divided between two countries helps. And we’re also duty free. These features and having coined the name “The Friendly Island” has attracted millions of travelers to our shores over the years. But in this day and age, Caribbean destinations must diversify their product in order to remain relevant. St. Maarten is no different. In a post-Irma era, what will St. Maarten’s tourism product become? The coming days we will answer that question in 6 parts. This is the intro. In part two (2), we will look at how hurricane Irma can possibly be a blessing in disguise for St. Maarten. 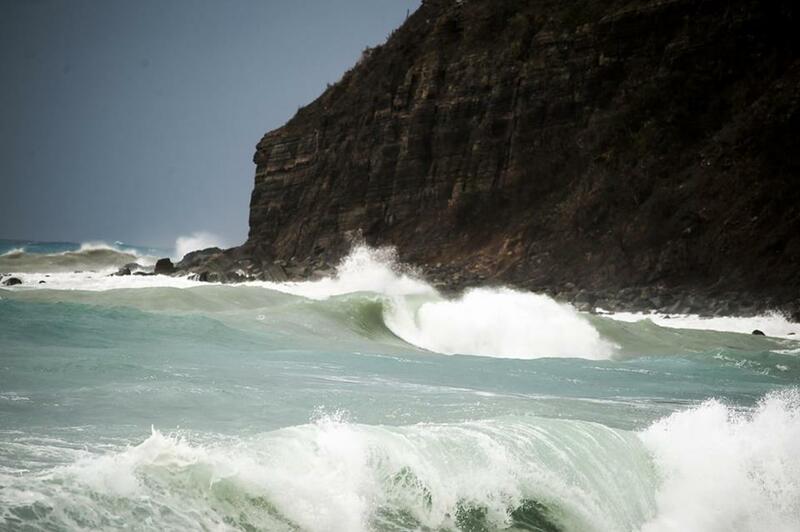 Photo caption: Angry waves beating down on the beach of Belair. If we don’t change ourselves, adapt and innovate our tourism product, nature will force us to. Photo by Milton Pieters. With the above question in mind, hurricane Irma can possibly be looked at as a blessing in disguise. The devastation caused by Irma has sent the island a few steps back but we, of course, are looking to come back 100 times better than before. You may be asking, where’s the silver lining? Businesses have closed and people have left and buildings were destroyed. Nonetheless, this gives St. Maarten the chance at a fresh start. It gives the island a chance at providing our visitors, and the locals, a different view of our 37 sq. mile beauty. Thinking post Irma allows us the chance to invest our time into cultural tourism and/or sports tourism. Photo caption: With the slogan let’s build back better, not only is the resilience of the St. Maarten people put to the test after the damages caused by hurricane Irma, but also the creativity and the innovative spirit of the people and its entrepreneurs will be significantly tested. Photo by Milton Pieters. In part 3 we will look at ways of expanding our tourism product with culture. 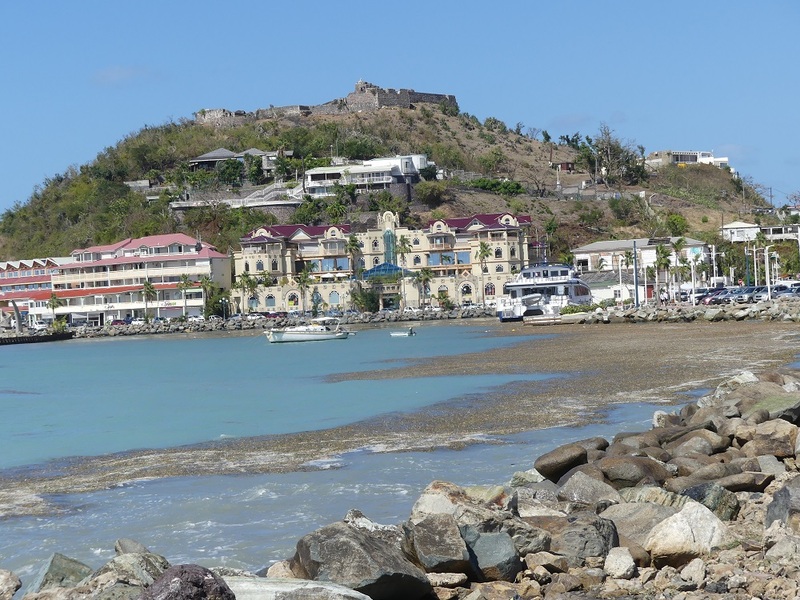 St. Maarten, like every other Caribbean island, is rich with history. However, this history is not taught and shared enough, with locals and foreigners alike, and this needs to change. And what better a time to venture down a new path than when the island is in need of rebranding? When we need something to believe in and build on. The exploration of cultural tourism allows teaching natives, as well as visitors, about what St. Maarten’s been through and has to offer. Photo caption: This photo is a mixture of culture, history and nature, showing that in a post-Irma environment, we have to focus on sustainable integration of these elements in a balanced manner if everything is work properly and consistently. St. Maarten as a tourist destination cannot survive if we do not focus on sustaining all these elements together. Photo by HIlbert Haar. The island currently has a new head of the Culture department and a temporary government in place. What better a time for new ideas and new programs to be enacted to build up the cultural strength of the people? The Great Salt Pond, The Simpson Bay Lagoon, The St. Martin Book Fair, St. Maarten Carnival, among so many other great things can be properly introduced and taught to the people of St. Maarten. The people then in turn become the natural ambassadors of the island and the treasures it holds. What is most fascinating about cultural tourism is its ability to benefit a destination in two ways. It allows for the host population to better know their land and hold an unwavering pride in what they have. Also, it gives the opportunity to teach those that visit just what differentiates the destination from every other destination that they come across. Photo caption: The new head of the Culture Department, Clara Reyes, fully engaging students at the St. Maarten Academy pre-St. Maarten’s Day in November 2017. In part 5 we will look at other tourism options available to us. Sports tourism is another option. The opportunity for St. Maarten to become the sports hub of our surrounding islands would be easily attainable. For example, Video X Games (VXG), an e-sports competition held a few years ago, showed us that the region is ready and willing for a reason to visit the Sunshine City. After the success of VXG a few other islands have attempted to pick up where they left off. Fortunately for us, none were able to gain the popularity that VXG brought. With the right management and sponsorship St. Maarten can easily pick up where VXG left off. Other options in sports tourism are marathons, bicycle racing and swimming. The Sunset Triple Mini Triathlon is a perfect example of what is possible in this area as well. 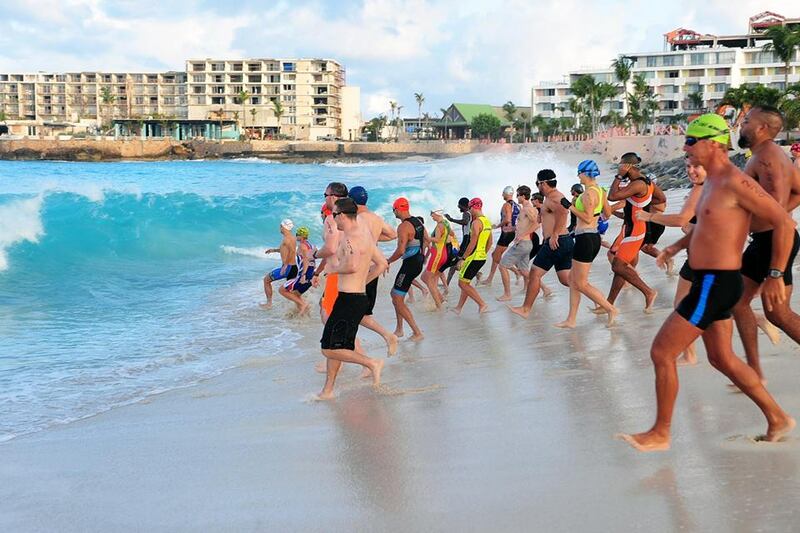 Photo caption: Triathletes running to the plunge in the waves on Maho Beach during the Sunset Triple Mini Triathlon held on Sunday, March 18th, 2018. Photo by Milton Pieters. In part 6 we wrap up this series with our conclusion. SXM Airport — Just as airlift is vital to St. Maarten’s tourism economy, so it is for the recovery process to normalize the situation on the island, to fly in aid and relief goods, food and water, to evacuate tourists and other temporary visitors, workers and their families and to offer an escape for those in urgent need of medical care, for those with young children and elderly family members and for those who have lost everything on the island during the passing of Hurricane Irma. 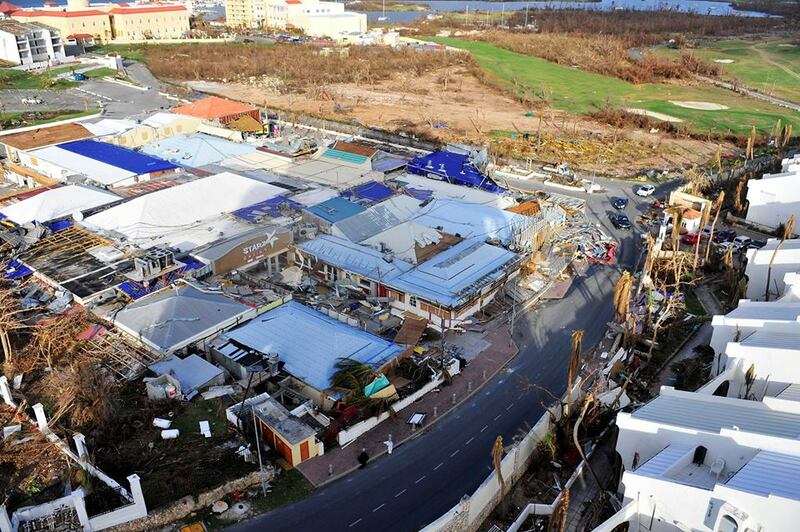 Although the SXM Airport was badly damaged, the clean up of the runway was quickly organized and military aircrafts, such as CC-130 Hercules aircrafts, and humanitarian flights were soon landing on the airport. The Dutch Marines moved quickly to put the airport under military command. The Minister of Justice approved a list of airlines that would be allowed to land at the airport to fly out passengers. Luckily,Air Traffic Controller Tower SXM Airport with Coast Guard the air traffic control (ATC) tower did not incur any major damage. With the assistance of the ATC in San Juan, Puerto Rico, flights were quickly organized into SXM Airport. Military aircrafts could be seen landing daily into St. Maarten and many evacuation flights were executed. Even pets and other animals managed to be evacuated by caring travelers departing the island. Many news and camera crews arrived on the island on military aircrafts. Initially, mainly from Curacao and Holland on Dutch Marine and Coast Guard aircrafts as his royal highness, the King of the Kingdom of The Netherlands arrived on St. Maarten on Monday night with the press in his entourage. Quickly, other press agencies, including CNN arrived on the island. On Thursday, September 14th, a news crew from ABC News flew in from Puerto Rico on a private charter operated by Tradewind Aviation with the assistance of AirStMaarten and Halley Aviation Services. If St. Maarten was not already on the map, it is definitely now at the center of world with millions of viewers getting daily reports on the devastation caused by one of the most powerful hurricanes seen in the past 30 years with record-breaking storm statistics. The damage is already estimated to be well over 2,5 billion US dollars. An image that will remained ingrained in the minds of many people is that of hundreds of people queuing up to be evacuated off the island. This situation has left many with mixed feelings ranging from anger to despair to sighs of relief. Long lines formed for days after the hurricane at the SXM Airport. The military exercised strict control over the situation and at no time did things get our of hand at the airport. So far all people stranded on the island have managed to be evacuated. Either via Curacao to The Netherlands or via San Juan, Puerto Rico, to the USA. Local airline company Winair, despite having undergone complete devastation of its head offices at the SXM Airport leaving only the mangled remains of the structure behind, executed evacuation flights to Antigua for passengers connecting to the UK and also to St. Kitts and later to Saba and St. Eustatius. Noteworthy, is the actions of the Dominican airline company, PAWA, that flew non-stop after the hurricane to fly in aid and relief goods and to evacuate and repatriate Dominicanos living on St. Maarten with their MD80 aircraft. Other airlines operating evacuation flights were American Airlines, Jetblue and Delta Airlines. Also many private jet aircrafts were seen landing and taking off from the SXM Airport as well. It is clear that the SXM Airport, despite the crippled infrastructure caused by the damages to the main terminal building’s arrival and departure halls, is playing a vital role in getting people out of the country and the necessary aid, help and relief into Hurricane Irma Damages SXM Airportthe island. With the demand for more airlift in the form of military, humanitarian, commercial and private flights, the military and the local authorities will have to make all efforts to get the SXM Airport fully operational again and this port will be critical to the recovery and rebuilding process St. Maarten will have to undergo to allow the flow of cargo, tourists and US dollars back into the country and into the island’s local economy. Click here to see more related photos on our travel partner’s Facebook page. I would like to recognize the importance of World Tourism Day, which falls on the 27th of September of each year. The theme for 2016 is “Tourism for All – Promoting Universal Accessibility”. It is a conscious reminder to us all around the world to continue to strive for integration in order to improve each other potential in tourism, and to promote a mutual understanding of different cultures and traditions. We have to be realistic about where we are now as a tourism destination and how we can strive to be better. We must embrace the efforts that have already been made and encourage everyone to continue going in the right direction towards making our Island more accessible. Because tourism, which has grown into the world’s largest industry, St Maarten recognizes the significance of this critically important industry and the positive effects is has and will continue to have on our beautiful Island. Government, the various stakeholders and most importantly the people of this Island, must constantly challenge ourselves to ensure that our tourism product is both environmentally and economically sustainable, and that we continue to offer quality services and products of the highest quality in order to exceed the expectations of our visitors. However, while these are important goals that we share for our island’ tourism, I would ask that we reflect for a moment on the many person “the elderly and/or the disabled” who are not able to discover the beauty of our island due to limited accessibility to certain places and facilities, which would otherwise have enabled them to enjoy our island to a substantially higher extent while visiting for pleasure. After all, the incipiency of the tourism industry itself was based on the premise of one word: “Discovery”. But should disability, social factors or age be a limiting factor in discovering the beauty of St Maarten? In St. Maarten, one of the biggest strengths of our tourism industry is the amount of repeat tourists we welcome to our shores. And while it is important to continually attract more tourists in niche markets such as Religion, Sports, Culture and Heritage and Medical Tourism to name a few, we cannot ignore the aging and/or disabled visitors, We must also recognize that our loyal time share owners that have invested in properties on this island, and who are consistently returning to our Island year after year. These visitors who continue to visit our Island, will continue to age and their needs for more accessibility on our island will continue to grow. In addition, to our stay-over tourist, we must also keep in mind the importance of accessibility for the millions arriving by sea. Cruise lines are among some of the most accessible tourism ventures in the world and their demand for destinations with matching accessibilities will only increase as more destinations are competing within the lucrative Caribbean Cruise market to conform to the accessibility standards. Reflecting on where we are currently in terms of accessibility and connectivity, I must admit that the primary factor in the phrase “Tourism for All”, is reflected in the visitors’ ability to reach the destination, in terms of connectivity. When connectivity was analyzed based on direct international connections to and from a destination, St Maarten ranked 7th and we were recently named “Caribbean Airport of The Year 2016. The management teams of the Princess Juliana International Airport operating company and the St Marten Harbour Holding Company have done an excellent job in ensuring that the visitors have a safe arrival and departure from our Airport and Sea Port facilities. We can also see that several local businesses have improved accessibility with reserved parking for the disabled, and wheelchair ramps and elevators as well as accessible friendly restrooms for the disabled. We look forward to seeing more of such private sector initiatives. Still, there is always room for improvement. We can definitely identify some areas that we may want to look at when providing better accessibility for all. The way in which we can improve this will differ from business to business, but my message is about us taking the time to identify why we need to make St Maarten more accessible for all and how we can do this ourselves. I would like to stress that this premise should not only be limited to our visitors but to our local residents as well. I am a firm believer that we must also ensure that the residents on our island are also given the same consideration. Our elderly and/or disabled residents must also be able to enjoy the same degree of access as everyone else. As the saying goes: “Charity begins at Home” and if we want to implement accessibility policies for our tourists, we should simultaneously ensure that access for our residents to non-accessible areas are also improved. After all, one of the major touted benefits of the tourism industry is it potential to improve the land not just for tourists, but also for its inhabitants. While we continue today to enjoy the growth of our tourism industry which enables us to sustain our way of life, I believe that as a nation we should not forget those who experience physical challenges when trying to discover the beautiful beaches and nature of our island, when seeking to experience the cultural diversity that we are so proud of as well as the many other delights that hundreds of thousands experience on our island each year. I encourage everyone to continue to strive to truly be the “Friendly Island” in every way including being “accessibility friendly to all our visitors and our people. Finally, I invite everyone to celebrate this glorious day “World Tourism Day” and to be part of the promotion of tourism and the development of universal accessibility for all. I wish each and everyone on this beautiful Island a Happy World Tourism Day. You have obviously heard the news already that Guyana has found huge oil deposits off of its coast in a second oil well, confirming mega amounts of oil and gas located offshore. For years, I have been a proponent of getting airlift off the ground in the form of direct flights between St. Maarten and Guyana, a land with an abundance of natural resources that our island lacks. A direct flight between St. Maarten and Guyana would just be a mere two-hour flight. Opposed to the countless hours travellers have to endure and the many stops they have to make presently before they reach Guyana. And vice versa. Currently, Caribbean Airlines (via Barbados and Trinidad), LIAT (via Antigua and Barbados) and Inselair (via Curacao and Aruba) offer flights between St. Maarten and Guyana. For years, Guyana has said that there is no bilateral agreement for direct flights between Guyana and St. Maarten. An open skies treaty between Guyana and Country St. Maarten would have to be negotiated accordingly by the competent authorities. Another restriction in place is the visa requirement for Guyanese citizens to fly to St. Maarten. Guyana citizens can request a US visa and use that to stay maximum 30 days on St. Maarten for business or leisure travel. This visa costs $200 US Dollars and applicants have to make a request for an appointment at the US Embassy in Georgetown, Guyana. Also special photos are needed for this visa application. The visa is valid for 10 years. As a local travel agent and airline charter provider, I would like to call on the relevant competent authorities to waive the visa restrictions for Guyanese citizens to travel to St. Maarten. The Kingdom of The Netherlands has recently lifted the visa requirement for Colombians to travel to Curacao and to St. Maarten. Venezuelans can also freely travel to the Dutch Caribbean islands as well. So I personally believe the same freedom should be afforded to Guyanese travellers wishing to vacation on St. Maarten or visit the island on business. With the expected boom in business in Guyana due to the recent oil and gas finds, St. Maarten would do well to lobby for a lifting of the visa restriction and to negotiate bi-lateral agreements with Guyana. Holland is already a number of steps ahead of us in the area of business development with Guyana and recently concluded a successful trade mission to Georgetown, Guyana, whereby agreements were made for the Dutch Government and Dutch engineering firms to assist the Guyanese Government with water works and city water management projects in Guyana. Guyana has lots to offer St. Maarten in terms of cooperation in the areas of agriculture, food exports, eco-tourism and financial investments. Already, we are seeing a surge of influx of investment capital from Guyanese investors investing in businesses in St. Maarten and buying properties on the island. The St. Maarten Government should further stimulate this trend by opening up discussions with the Guyanese Government to further cooperation and joint projects between both countries. St. Maarten as a nett importing country relying exclusive on the imports of all kinds of goods and foods and even basic necessities, such as rice, produce, fruits, vegetables and fish, can have Guyana as a trading partner that can offer St. Maarten security in these areas through mutual cooperation agreements. The Guyanese Government is seeking to commission an impact study on the aviation sector now that the nation is set to grow its oil and gas producing capabilities and to get its international airport up to Category 1 status. It would behoove St. Maarten to offer strategic input into this effort as well. The agricultural developments alone in Guyana is more than enough reason for both Government and the business sector in St. Maarten to initiate trade missions to Guyana. The possibilities and resources for airlift between both countries in the form of direct flights are there. It is just a matter of developing the market and trade relationship between both countries. Let’s start by lifting the visa restriction for Guyanese to travel to St. Maarten. GREAT BAY – “We don’t need more tourists. We need better tourists,” economist Arjen Alberts said yesterday during a webinar hosted by Runy Calmera, the chairman of the Dutch Caribbean Economists Association. 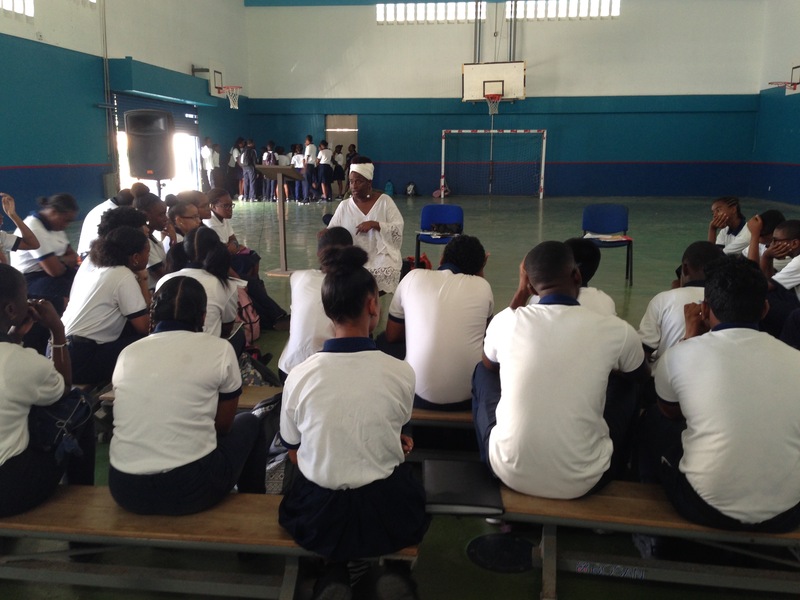 The webinar was followed by viewers in the Netherlands, Haiti, Curacao and Sint Maarten, where the complete economy class of St. Dominic High School followed the event on a large screen. The webinar was dedicated to Albert’s study that focuses on the question why tourism does not lead to higher labor productivity. Today published an article about this study on January 5. Alberts is a Ph. D. candidate at the University of Amsterdam. The peer-reviewed British journal International Development Planning Review (IDPR) published his extensive article about this topic. Yesterday, Alberts elaborated on the issue in terms that are easy to understand. The study looked at developments in Aruba and St. Maarten. “These are small island tourism economies and they both are always in the top-five in terms of the intensity of the tourism development,” Alberts said from behind a laptop stationed at the Philipsburg Jubilee Library. When Calmera asked for an example of an island that does get a batter yield per tourist, the answer was about a place right next door to St. Maarten: Anguilla. “They have built a few very expensive hotels and they generate a lot of income from it. They employ locals, sprinkles with a few immigrants. The labor productivity has increased there.” Another example is Dominica, an island that thrives on eco-tourism. Getting back to the import of services, Alberts said that local entrepreneurs have to start producing what the hotels need. The government has to back up the development towards higher quality tourism with human resources. While there is a need for better tourists, St. Maarten is currently going in the opposite direction, Alberts notes. He refers to price dumping in the cruise industry, something Today reported about on Wednesday. While you are visiting our lovely island of St. Maarten and enjoying the tastes of France that only the St. Tropez of the Caribbean can bring you, you owe it to yourself to take a daytrip to our lovely island neighbor St. Barths. It is only 22 miles away and an air charter can get you into the capital of the island, Gustavia, in the shortest time so you can have the most time to enjoy all the sights, sounds, and differences of a Caribbean island that was originally a Swedish colony. St. Barths has long been a winter haven for the rich and famous but that does not mean just ordinary folk cannot enjoy the natural beauty, the quiet island life, the pristine beaches, and the distinctly authentic shopping experience in St. Barths. Being already just 30 minutes away from one of the most spectacularly unique and sophisticated of the “French” Islands in the Caribbean means a daytrip to St. Barths is a must do for the Caribbean trip of a life time that you can brag about forever. St. Barths is easily accessible and affordable if you come to St. Maarten by plane, cruise ship, or on your own yacht. St. Barths is basically a reef. If diving and exploring for sea life is one of the items on your “bucket list”, St. Barths offers an infinite variety of fish, coral, and sea creatures that are unique to all the Caribbean. The fishing is superb as well. The island has a thriving surfing community and a yearly calendar of boat races that feature the fastest of sail boats and the tall ships of days long past. The beaches on St. Barths still retain a pristine quality that is hard to find. Miles of beaches topped by rocky volcanic crags and a spectacular ocean view provide the perfect hideaway for a kindling of romance. The natural beauty of some of the most exotic and rarest flowers in the world makes the island a true Eden. The 80 restaurants on St. Barths provide one of the largest varieties of cuisine in the Caribbean. The best of French food, local Creole delicacies, Asian, Italian and almost every type of cuisine in the world can be found on St. Barths. The wine list on the island is second to none. Shopping is a change of pace on St. Barths. Hand-woven bags and hats made by local people are a treasure to everyone that visits the island. Naturally, all the best designers from all over Europe have a shop on St. Barths to cater to the rich and famous. A daytrip to St. Barths from St. Maarten will astonish and delight you. The natural beauty, the red roofed houses, and the wonderful beaches, the variety of food, and the best shopping in the world make a daytrip to St. Barths one of the best things you will remember most from a visit to the Caribbean. 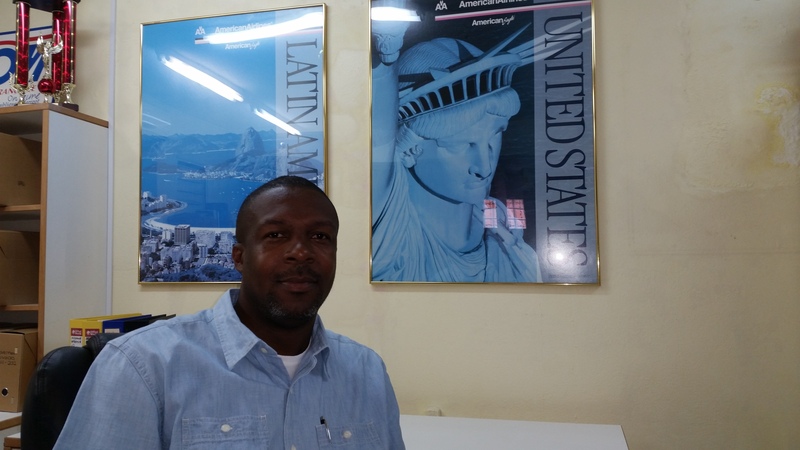 Terrance Rey is CEO of AirStMaarten, Caribbean’s only virtual airline specializing in shared charters to St. Barths. Tour St. Maarten, visit http://www.stmaartentours.info. Support our work and book online at http://www.book-airsxm.com. The first fare is always the cheapest fare, guaranteed! Order and have flowers and/or giftbaskets delivered anywhere in St. Maarten via http://www.stmaartenflowers.com or internationally via http://www.stmaartengiftbaskets.com. I am writing this article on a self-imposed deadline instigated by the approach of Tropical Storm Erika with the aim of advising visitors on my Caribbean home island of St. Maarten what to do before TS Erika reaches our Windward Islands or worst, turns into a Hurricane. Six years ago, in September of 2009, we also had a Tropical Storm by the name of Erika threatening our shores as well and then too I sent out a quick emailing to my mailinglist with information and advice on what to do if caught in a hurricane while on vacation in the Caribbean. The article I wrote for that September 2009 newsletter is still valid even up to today. So here is my checklist of Top Things To Do If A Storms Threatens Your Caribbean Vacation Island. Make a list of supplies to buy. Study the storm’s path on the weather sites. I strongly recommend www.wunderground.com. Create a list of tasks and responsibilities. Know who does what in an emergency bug-out. Pack non-perishable food for each person for 3-7 days. Buy bottled water (1 gallon per person per day). Pack two coolers: one for drinks, including bottles juices, and one for food. Stock up on canned foods and have a manual can opener handy. If you have pets, make sure to stock up on dry pet food. Have a plan in place if your personal belongings get lost or damaged. Store all important documents in waterproof containers. Have your bags packed and ready to move. Have an emergency (first-aid and disaster) kit ready, with batteries (in different sizes), flashlights (plus extra bulbs), candles, matches, duct tape, clock (wind up or battery-powered), plastic garbage bags, etc. If you are on medication, consult with your physician and have an extra supply of medicines. Read up on hurricane do’s and don’ts. Unless you are an extreme storm chaser, don’t go outside in a storm unless you really, really, really have to. Dress appropriately. Make sure you have rain gear, extra clean clothes, extra blankets, heavy gloves, etc. Know the bug-out route to the nearest designated hurricane shelter. Make sure your room, apartment, condo or villa is secured. Make sure your cellphone, tablet and laptop batteries are fully charged. Keep a list of emergency numbers handy. Make sure you have a battery-powered radio you can listen to. Stay in touch with the home front via internet. If you are staying at a resort, listen to the resort management. My personal favorite: have a supply of comfort/stress foods handy. Last but not least, get extra cash! This list is sorted in no particular order of priority or preference except the latter two, but those are my personal preferences, candy and cash. PS: Visit http://www.stmaarten-info.com/st-maarten-weather-information for the latest up-to-date weather news and storm tracking for the region of St. Maarten/Saint Martin, St. Barths, Anguilla, Saba, St. Eustatius. St. Kitts & Nevis. Much like when you are using a smartphone or tablet and you turn the screen upside down and the display automatically flips so that it is rightsided up again, the same way St. Maarten’s tourism marketing strategies needs to be responsive. The minute something happens that poses a threat or an opportunity for the island as a tourism destination, the St. Maarten tourism authority needs to be able to flip the strategy so that the policies are rightsided up again and is able to respond decisively to that threat or opportunity. Last month, after the attacks in Tunisia whereby a gunman killed dozens of tourists, countries such as Spain and the Canary Islands immediately responded with marketing campaigns to offer sun-seeking Europeans an alternative vacation destination for their holidays this year. What did St. Maarten do? Nothing, of course. Granted, long-haul destinations are unlikely to pick up tourists originally destined for Tunisia, according to travel analyst Angelo Rossini from market research firm Euromonitor. “Destinations like the Maldives, the Caribbean and Mexico are typically more pricey and target a different customer segment.” he was quoted as saying by Reuters.com. However, the reason St. Maarten tourism authorities were unable to respond proactively in a case like this is because the island’s tourism marketing is completely non-existent. There is absolutely no strategy or policies in place to react to or counteract any positive or negative development, whether internationally, regionally or even in the source markets for the island tourist traffic. Now in the aftermath of the shootout in Philipsburg with Officer Gamali Benjamin fatally wounded and the island has literally been flipped on its head with this new level of crime violence, there has been a huge outpouring from St. Maarten sympathizers and long time island visitors on the internet, on forums, blogs and social media. One post alone on a forum has to date almost 7000 unique views. With this exposure in mind that can negatively impact the island’s tourism product, the tourism authorities on St. Maarten needs to be proactive and let the world see that the St. Maarten government, in particularly the Justice Minister, the Police Force, the business community and the island’s population is united in condemning these acts of violence and that swift action is taking to bring the perpetrators to justice. The image of a decisive and effective justice apparatus needs to be communicated and depicted immediately and profiled consistently so tourists and prospective visitors to the island can feel that the authorities have the situation well under control. That level of responsiveness is unfortunately missing in the island’s tourism marketing and promotion abilities. Therefore, the call is hereby issued to the tourism authorities on St. Maarten, starting with the Ministry of Tourism, to tackle this matter immediately without any further delay as our tourism product is definitely under threat. There is an opportunity right now to do something about that with the present level of support in all sectors of the island. St. Maarten needs a responsive tourism marketing strategy, now more than ever. GREAT BAY – How big a threat is Cuba really to St. Maarten’s economy and when will the effects hit us? Terrance Rey, managing director of several travel businesses like Let’s Travel and Travel Anywhere, Inc. says it will take at least ten years, but that the country should not wait that long before taking action. Marketing is of course the key word and exactly in that field, the island comes up short. There is however yet another group that is eyeballing Cuba: entrepreneurs. “I have already organized three charters to Cuba for real estate developers and timeshare entrepreneurs,” says Rey, but he thinks that doing business in Fidel’s backyard will be cumbersome at best for years to come. Interview by Mr. Hilbert Haar, managing editor of the TODAY newspaper on St. Maarten, published on the front page of the TODAY newspaper on Tuesday, July 28th, 2015. We have all seen the dramatic drop in the oil price in 2014 and we have noticed that some airlines have continued to maintain the same level in their airfares despite dropping the infamous fuel clause that was used to justify the rise in airfares over the years to keep pace with the ever increasing price of oil and the burdening effect this had on the operational costs in the airline industry. Many airline press releases tell us that the present airfares are kept at the present level to cover the years of financial deficits that have been incurred while the airlines struggled to maintain their pricing competitiveness and that the airlines will continue to use the profits generated to strengthen their airline companies’ balance sheets. In order words, airlines intend to profit from the present situation for as long as possible. 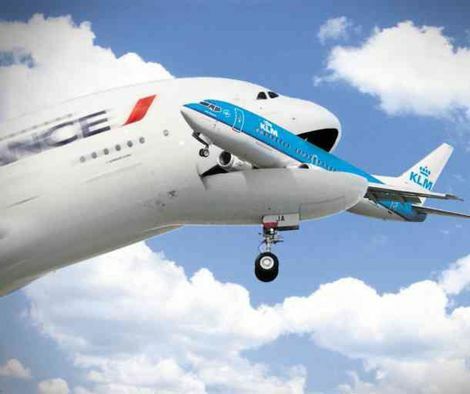 Will Air France gobble KLM up like the way of life in the jungle? This brings me to look at the ebb and flow in the airline industry. Because despite the opportunity to benefit from lower fuel prices, there are still many airline companies struggling to survive financially or are on the brink of bankruptcy. The burgeoning overhead costs of the legacy carriers, the burdening operational costs that in most cases cannot be deferred or offset on to the passengers and the gnawing competition from the low-cost carriers and from the cash-rich middle-eastern carriers are taking a toll on the state of the airline industry. Despite the aforementioned detrimental situation, I am intrigued by the fact that there are still many airline companies vying to enter the airline industry. To a certain extent, this can be understood. With record profits being made in the industry presently, entrepreneurs and investors see an opportunity to enter into a market that has enormous potential for huge amounts of revenues and profits. Also, as more aircrafts are being built on the promise of efficiency in both technology and fuel consumption, it is certainly attractive for new airline companies to try to enter the market if they are certain their business model can be operated more profitably and more efficiently than their predecessors. 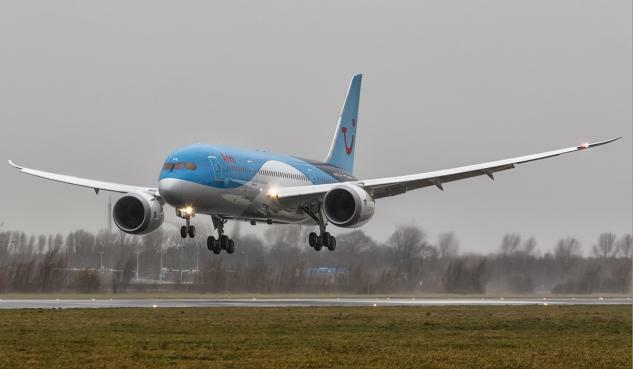 A dream come through for Arkefly with plans to fly to St. Maarten later this year with their brand new Driemliner, the third Dreamliner in their fleet. So, on the one hand we see the rise and fall of oil prices, air fares, profits and losses and the exit and entry of old and new players in the airline market industry. On the other hand, like the moon having a tremendous effect on the ebb and flow of the ocean on our planet’s surface, it tickles my imagination to know what exactly is causing the similarly ebb and flow in the airline industry? Is it the just the life-cycle that every airline company must go through or is it because of the restless nature of man to be forever on the move, whether up or down, like oil prices, airline fares and company profits? 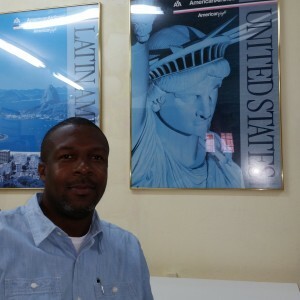 Terrance Rey is owner and managing director of Let’s Travel, Travel Anywhere and AirStMaarten. Terrance Rey has 15 years experience in the travel business as a travel agent, tour operator, charter broker and as an internet travel entrepreneur. You can email Terrance Rey directly via terrance@letstravelsxm.com with any questions you may have relating to your international travel needs. Search StMaarten-Info.com for company addresses, telephone and fax numbers, email and website addresses. All these businesses and organizations can be found listed in the different categories and sections featuring their ads, specialities and promotions for their products and services. The perfect and ideal way to learn also about Caribbean's most exciting vacation destination: St. Maarten - St. Martin and what this one island with its two nations has to offer. © 2016 Copyright by StMaarten-Info.com. All rights reserved.